Well, we’ve done it. The Album is complete. All 12 songs have been sent for CD manufacture, along with artwork, and the digital files are travelling at the speed of electrons to our digital distributor for release on iTunes, Google Play, Amazon and the like. The image above is a mockup of the proposed 16-page booklet accompanying the CD; we created this mockup to give our Kickstarter backers some reward for their faith in us (and to check it looked good). 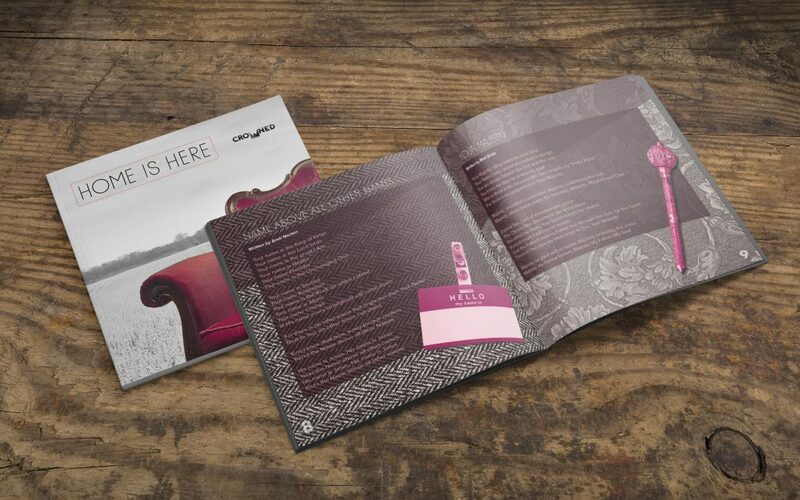 The final album booklet has changed slightly but this is pretty close to how it will look. The Album ‘Home Is Here’ is due for release on December 12th, 2016 and we are very excited. We hope you enjoy listening to it as much as we did making it; despite the cliche, we genuinely do. Links to pre-order will be available on this site shortly. Any problems, contact us.